Dirty South (Dragan Roganovic) est un Dj, Remixeur et Producteur tout droit venu de Melbourne en Australie. On le connait bien ou surtout son single ..It's too late.. qui fut un énorme succès dans le monde. Le genre musical de Dirty South est House/Techno. Biography Born in Europe and moving to Australia when he was 13 years old, his mixing career began by using a 2 deck NEC tape player to record songs off the radio. By then using the pause and play tracks together he created mixtapes to distribute to his friends and by the year 2000 he brought a set of decks to mix in the more traditional style. Roganovic's producing career developed in tandem to his DJ'ing career, he used his family computer to create remixes and mashups of other artists tracks and distributed them which caught the attention of Australian Vicious Vinyl records who signed him up in 2005 and allowed him to first prove his skills by remixing and then later creating his own tracks. In late 2006 he achieved #1 position in the Australian Club Charts with his remix of It's Too Late by Evermore It not only rocked the Australian dancing scene, but It's Too Late was also a massive anthem worldwide. 2006 also saw Dirty South debut at #11 in the INTHEMIX50 DJ charts. Dirty South teamed up with UK DJ Paul Harris in 2007 and produced Better Day which earnt Dirty South another essential new tune by Pete Tong. He also remixed a number of songs including Reach For Me, Feels Like Home and Higher State of Consciousness with fellow Melburnians TV Rock. Late July he joined together with MYNC Project to release Everybody Freakin. 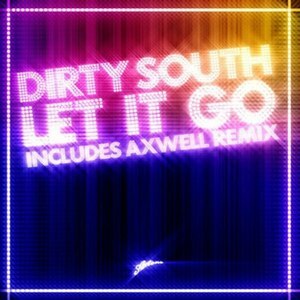 But Dirty South's biggest honour came when his new single Let It Go got released on Axwell's record label Axtone. September 2007 saw the release of the INTHEMIX50 DJ charts , in which Dirty South rocketed to the #2 DJ in Australia, up nine spots from 2006. He was also voted #1 most popular Australian producer . Following the release of the INTHEMIX50 DJ charts was that of the DJ Mag Top 100, in which Dirty South debuted at #98 . Discography Singles 2005 "Sleazy" 2006 "Dirty South EP" 2007 "Better Day" (with Paul Harris) 2007 "Everybody Freakin" (with MYNC Project) 2007 "Let It Go" 2007 "Minority" Remixes 2004 Dalassandro - "Dial L" 2005 Freemasons - "Love on My Mind" 2005 Gaelle - "Give It Back" 2005 Isaac James - "Body Body" 2005 mrTimothy - "I'm On My Way (I'm Coming)" 2005 Silosonic - "Something (To Make You Feel Alright)" 2005 Soulwax - "NY Excuse" 2005 Spektrum - "Kinda New" 2005 T-Funk feat. Inaya Day - "The Glamorous Life" 2006 Ferry Corsten - "Watch Out" 2006 Depeche Mode - "Just Can't Get Enough" 2006 Evermore - "It's Too Late (Ride On)" 2006 Isaac James - "Just Can't Handle This" 2006 Chris Lake feat. Laura V - "Changes" 2006 Fedde le Grand - "Put Your Hands Up for Detroit" 2006 Mind Electric - "Dirty Cash (Money Talks)" 2006 mrTimothy - "Stand by Me" 2006 Rogue Traders - "Watching You" 2006 TV Rock feat. Nancy Vice - "Bimbo Nation" 2006 TV Rock feat. Seany B - "Flaunt It" 2006 Vandalism - "Never Say Never" 2007 Chab feat. JD Davis - "Closer to Me" 2007 Cicada - "The Things You Say" 2007 Funky Green Dogs aka Murk - "Reach for Me" 2007 Kaskade - "Sorry" 2007 Meck feat. Dino - "Feels Like Home" 2007 Mark Ronson feat. Daniel Merriweather - "Stop Me" 2007 Roger Sanchez - "Not Enough" 2007 Wink - "Higher State of Consciousness" 2007 Tiësto feat. Christian Burns - "In the Dark" 2007 Tracey Thorn - "Grand Canyon" 2007 David Guetta - "Baby When the Lights Go Out" 2007 The Doors - "This Is The End"